Some of us have been known to take extreme measures while wanting to continue the good times and not finding a bottle of wine or spirits. 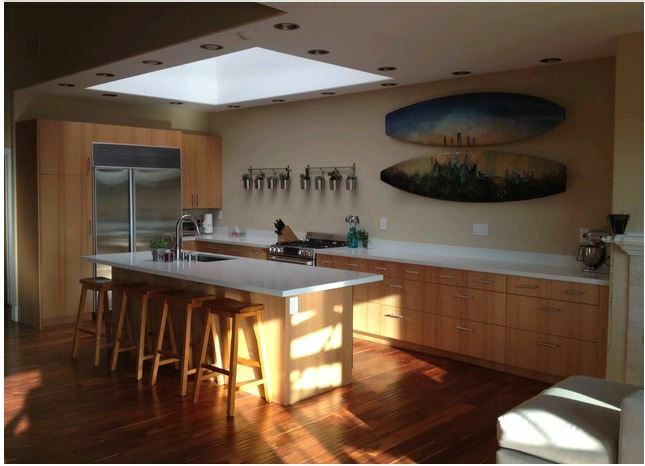 Our design takes the wine cooler off the floor and places it at eye-level for easy access. Beverage coolers are generally designed to go under the counter, however not everyone likes crouching down to grab a cold drink. 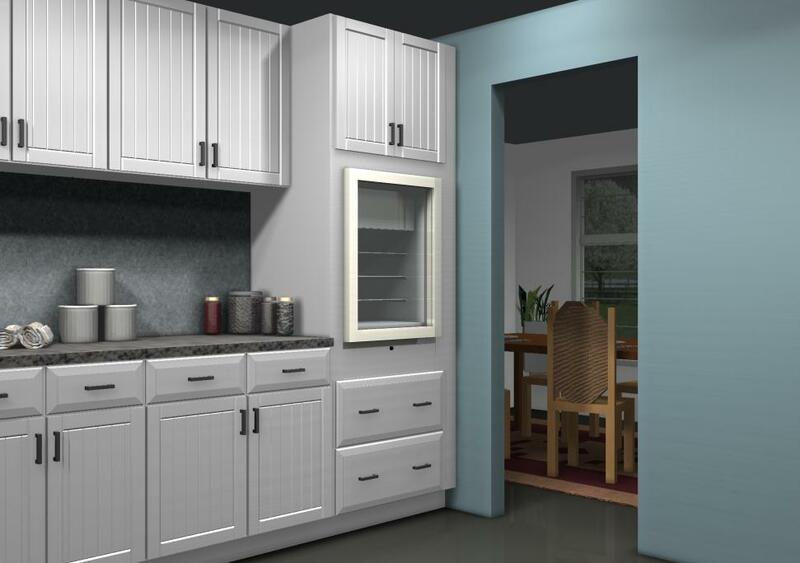 Design a 30” tall oven cabinet for both the cooler and more storage. Standard wine cooler measurements are 24” wide and 34 1/2” high. 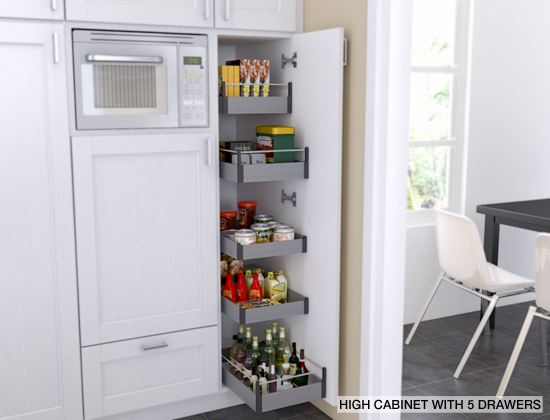 The bottom drawers are excellent to store mugs and small bowls, even trays, as well as snacks for fast and easy serving. 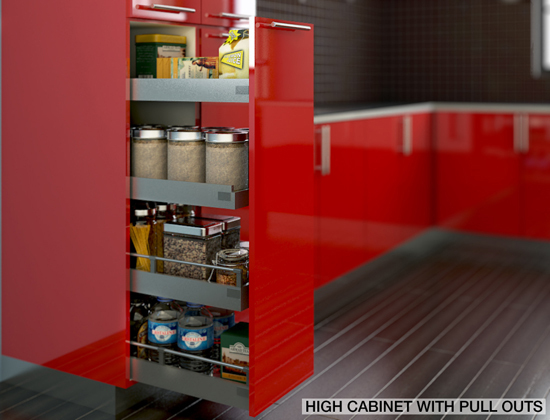 A tall cabinets’ contents mustn’t be static, they must be easily accessible and turned “inside out” to be used properly. Tall cabinets don’t need to be just plain shelves. 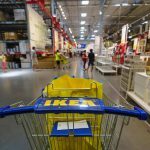 Ikea has additional options available that are very convenient depending on their use. Shelves: They’re good for storing heavier, bulkier items – such as pots and pans, large serving dishes and such. 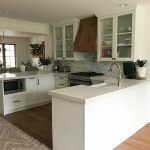 The biggest advantage is the maximization of the space available, as well as the wide variety of sizes: 15×80, 24×80, 30×80, 15×88, 24×88, 30×88 and styles (one door, two doors and with two bottom drawers, glass doors). 5 Drawers: Available in 15×88 and 24×88, these tall cabinets are great for storing smaller items as well as non-refrigerated groceries. The drawers are sturdy enough to hold cans and bottles; also there’s sufficient space between the cabinets to store taller items such as cereal boxes. The only disadvantage is that when closing the door be sure that all drawers are closed to avoid banging the door; also you need to open each drawer to see its contents. Pull Out Cabinet: This type of accessory allows you to pull out the entire contents of the cabinet with one move for easier visibility of all the items stored. These work better for non heavy items such as spices and treats. The biggest drawback for this type of cabinet though is that all items need to be placed in the drawers at an angle to avoid hitting the drawer directly above it. Cleaning Storage: The name says it all. 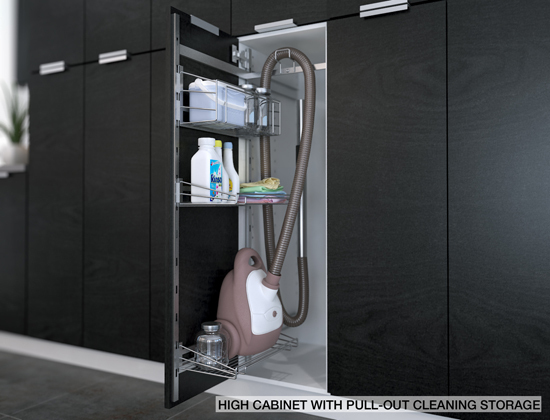 If what is needed is a place to store cleaning supplies, this is accessory to choose. It has built in space for a small vacuum cleaner as well as wire cabinets on the door to further take advantage of the space. It is available in two sizes: 24×88 and 24×80. The disadvantage of this cabinet is that it can serve only limited purposes due to the lack of shelves or drawers.